This article originally appeared in Modern Salon magazine. Self-motivated stylists choose salon suites and studios for a variety of reasons: to create their one-of-a-kind salon culture, build their clientele, grow their business and enjoy the freedom and benefits of salon ownership. Salons, Etc. empowers stylists by alleviating some of the risk associated with entrepreneurship, providing retail opportunity, furnishings, equipment and, best of all, local brand recognition. Launching your own business in a salon studio doesn’t require a huge investment, but you will need ingenuity, courage and a loyal following. A lot of commissioned salon stylists find themselves in the perfect position to hang their own shingle. 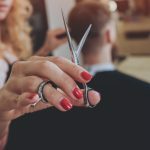 As managers at an existing owner-based salon, many stylists have had a glimpse behind-the-scenes at stuff like bookkeeping and marketing. More importantly, you have an established, committed client-base, which goes a long way in making the transition to a studio a seamless one. There’s a reason Realtors are always harping on this phrase! Ideally, your new salon should be within close proximity to your current salon, and to where your clients live. It’s also a nice perk if that salon is convenient for you as well. With our beltline exposure in Madison, you’ll get the benefit of being in the retail hub of town and familiar, convenient exposure for new clients. New stylists rely on technology to keep their business organized after launch. It is important to have your systems in place prior to moving to your new salon. At your previous gig, maybe there was a receptionist who booked appointments. Online booking fills that void, and ensures you aren’t missing calls from clients and potential clients. When you’re the boss, you decide what fills the back bar and the shelves. Products play a huge role in building your salon culture. Consider carrying a smart mix of high-end and affordable product for a diverse range of clients. You’ll also sell more stuff if you’re passionate about what you’re hocking. Stock your shelves with the usual and then some: your favorite hairspray, moisturizer and mascara. Adding extras not only makes your space beautiful — it’s an opportunity for upselling retail. When you’re picking products, look for benefits associated with certain lines. Develop a relationship with your local sales rep; they will keep you informed about specials and new product intros. And, don’t overlook access to education and on-going support — these are things that’ll keep you at the forefront in a fast-paced industry. Before opening shop, you’ll have to obtain salon and sales tax licenses, and file your trade name registration. We know this sounds scary and it isn’t exactly as exciting as choosing your salon name. But, don’t worry! There are plenty of salon studio owners to bounce ideas off of that have been through this before. Once the legal stuff’s done, you’ll have to make a few more decisions about the services you’ll offer, your hours and pricing. Consider a cancellation policy and an established schedule. Once put in place, you’ll have an opportunity in adding services and upselling add-ons like a deep conditioning treatment or eyebrow wax. One exciting thing about salon ownership is decorating your own space. Creating a trademark gives a salon show-stopping appeal, and the first step is deciding on a mood. If Zen’s your thing, think nature: earth tones, peaceful colors. By introducing incandescent lighting with floor or table lamps and incorporating plants or a tabletop waterfall, you can create a spa-like atmosphere on a dime. In today’s fast-paced market, tapping into marketing and social media is essential to the health of every modern business — especially small businesses. To make it easy, Salons, Etc. provides a basic platform for stylists to set up a website page where clients can learn more about your salon. Once you’ve established your webpage on our website, consider building a separate business website, too. You’ll be able to link to it on your Salons, Etc. page, and you’ll have more space to elaborate on your services and expertise, and to attract clients by posting pictures of satisfied customers, adding how-to videos, offering product recommendations, running promotions or linking to other platforms like Facebook, Twitter and Instagram — all of which are important tools. Consider sending out a regular newsletter that keeps clients informed. Not everybody’s plugged in via social media, but most folks use email. Getting social prior to your move is optimal so you can announce your new salon’s opening and get current clients psyched. Once you’re in your new digs, use social media for what it is: a powerful marketing tool capable of bringing in new clients. From the moment you open your doors for business, you’ll be able to enjoy the freedom to live the life you love. Take some time to revel in the tremendous accomplishment you’ve completed! Because let’s face it. You can either go to work, or you can be the boss.